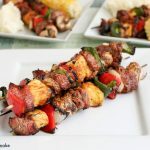 This grilled pork tenderloin kebabs with apricot ginger glaze recipe post was sponsored by Smithfield as part of an Influencer Activation for Influence Central and all opinions expressed in my post are my own. This will be the first sunny Memorial Day weekend we’ve had in two years, and we’re planning on doing plenty of grilling to celebrate the sunshine and the fact that the long lazy days of summer are here. My boyfriend and I grill out a lot during the summer months, and we host regular backyard BBQs for family and friends. We have pork for dinner at least once a week, but most of the time it’s prepared in the oven or slow-cooker, so for the holiday weekend, my boyfriend and I were inspired to take one of our favorite indoor recipes out to the grill. It’s summer, y’all! In the summertime, I like to spend less time preparing and more time relaxing, so when I was shopping for the weekend at Food Lion, I picked up Smithfield® Roasted Garlic & Herb Marinated Fresh Pork Tenderloin because it’s already slow-marinated and perfectly seasoned in the bag. That means no prep work for me before it hits the grill, and since it’s made from 100% fresh pork with no artificial ingredients, I’m confident I’m serving a great meal to my family and friends. Making kebabs is super easy, but they can often disappoint in the flavor department. 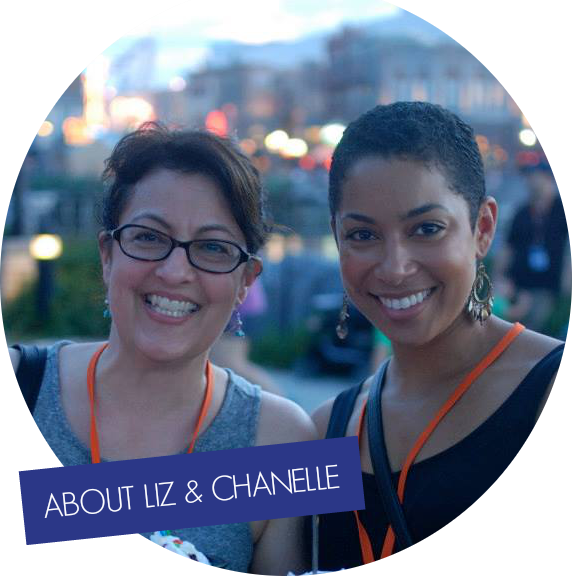 That’s why I love using Smithfield marinated pork – the flavor is already taken care of before I even start. So get your veggies and pineapple all chopped in big chunks, and then slice the tenderloin lengthwise before cutting that into good-sized chunks as well. (Ideally, everything should be around the same size for even cooking.) When everything is chopped, place the veggies, fresh pineapple chunks and pork on the skewers. Tip: If using wooden skewers, soak them beforehand (at least 30 minutes) to prevent them from burning up. 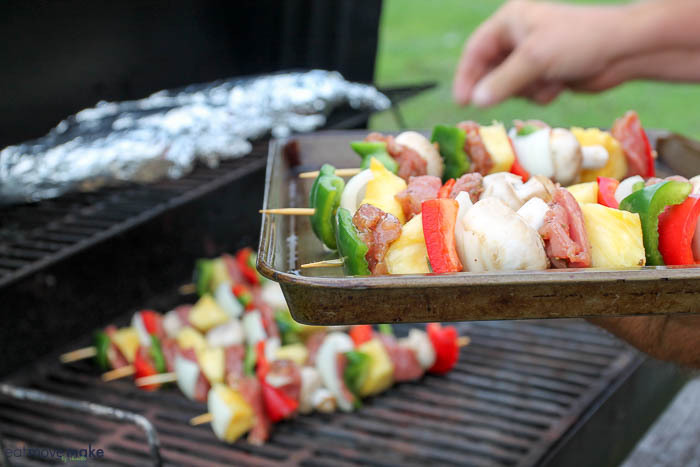 You can also use stainless steel skewers, but scrubbing them clean does not make for a relaxing summer day, so do yourself a favor and get the disposable bamboo skewers. When the grill is ready, place the skewers on the grates over direct heat. Gently turn them every couple of minutes, and if the veggies start to char on the edges, move the skewers to indirect heat to let the pork finish cooking. With a properly heated grill, the kebabs will be ready in less than 30 minutes! 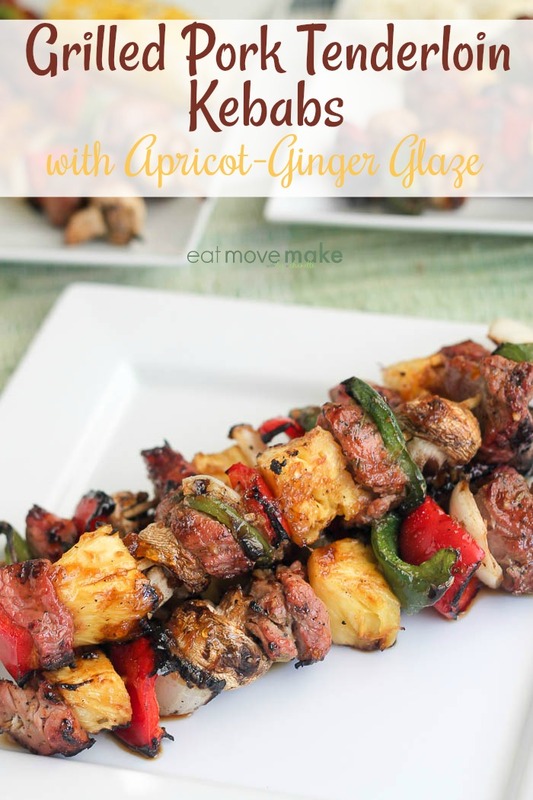 During the last 5 minutes of cooking, brush the apricot ginger glaze over the kebabs. Cut tenderloin in half lengthwise, then cut into 1 1/2-inch cubes. Meat and veggies should be uniformly sized. 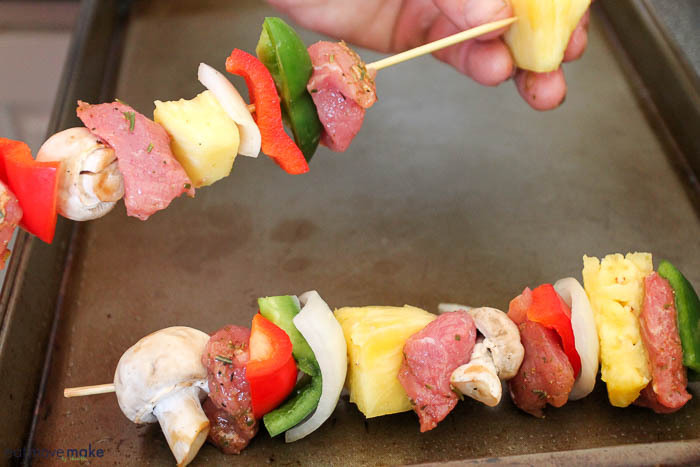 Thread pork, veggies and pineapple on skewers. Cook over direct heat on grill, turning frequently to prevent burning. If kebabs are charring or burning too much, move to indirect heat and let pork finish cooking. 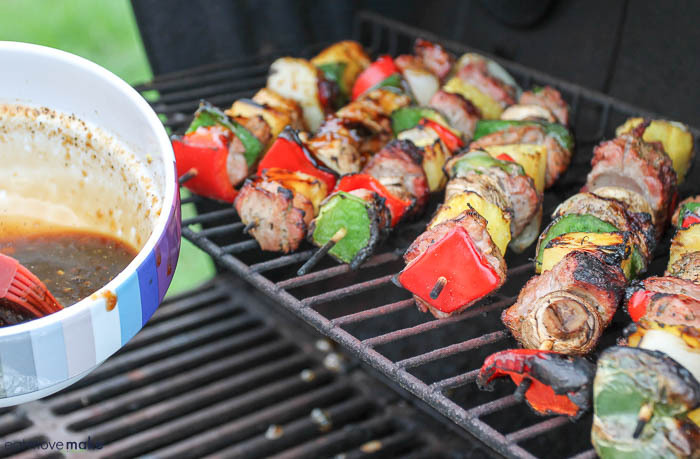 Brush kebabs with Apricot Ginger Glaze during last 5 minutes of grilling. 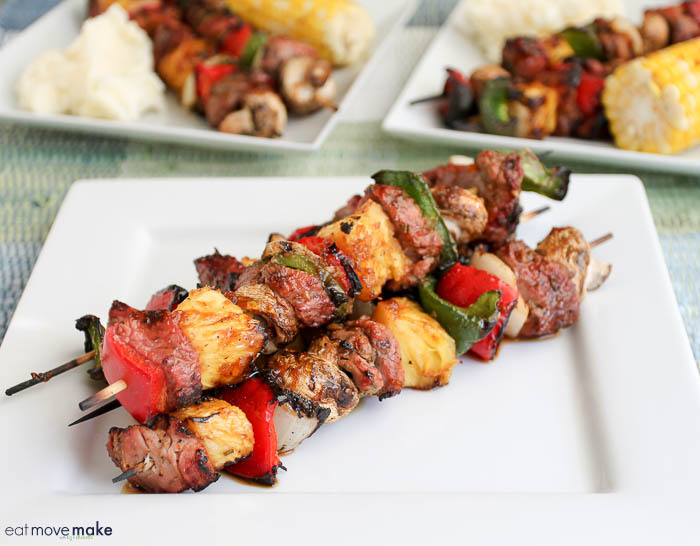 Enjoy a skewer full of summer flavor! 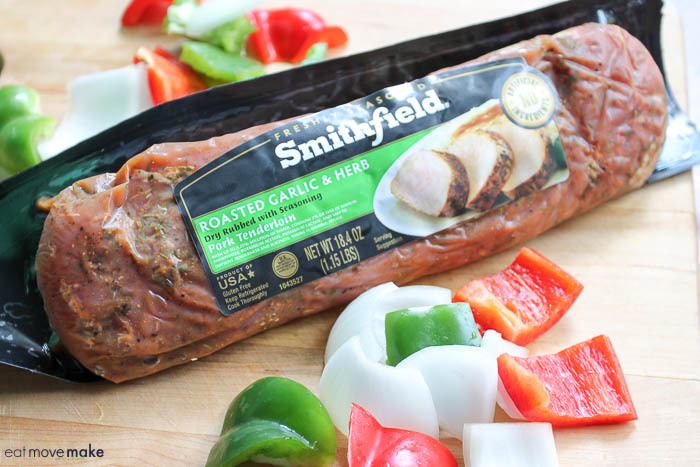 Visit the Food Lion website for a $1.00 coupon on Marinated Fresh Pork, and enter the “What Can You Do with 30?” sweepstakes at http://www.SmithfieldRealFlavorRealFast.com by sharing a tip for getting dinner on the table in 30 minutes or less. You could win a trip to Napa Valley! It’s perfect for summer time food! I love it! This look amazing for the grill. I’m going to share this recipe with my husband. This does look like good summer food! I haven’t had kebabs in awhile. Ugh YESSS. Get in my tummy! These kebabs look scrumptious! I bet the pork tenderloin tasted especially great! Oh, my, these look absolutely delicious! There’s nothing beats a good grilled kebab. I would love to try these at home. I’m always looking for new recipes to try. These kebabs look so delicious. Summer time is all about cookouts and BBQ’s. These kebabs look mouth-watering! Yumm! Oh, my word these look so good. I am drooling to get a bite. Adding these to next weeks menu list. We’ve been eating more pork tenderloin lately. I can’t wait to give this a try! Your grilled pork tenderloin kebabs look so tasty. I never added pineapple to kebabs. Summer is coming up, I am going to grill this new recipe for my family. Oh my god why did I have to see this. Now I’m drooling all over my keyboard and I’m very HUNGRYYYY hahaha. I’ll cook it up, thanks for the recipe. Yummy!! These kebabs look delicious and perfect for the weekend. I need my husband to make this one for me. Ginger glaze? Yum! Mmmmmmm! These look scrumptious. They are perfect for our next cookout. Just in time for Memorial Day! This is definitely something that I am going to make for memorial day. It looks so good and mouth is watering! I know my pork loving mommy’s mouth would water at the very sight of this! When I was growing up my family made kebabs with beef. Kabobs are so much fun to make! These look super delicious and are going on this week’s meal plan. Ha, I just saw kebabs at the store the other day and was thinking that they would make a great dinner idea. I will have to make these pork tenderloin ones, love that they have apricot ginger glaze. Delicious! I bet my meat-loving brother would love this recipe. The glaze sounds absolutely delicious!